Journalist Linda Chion Kenney wants to start a conversation in Brandon about preserving the town’s history. Kenney wants Brandon residents to take action and gather up all of the historical photographs and documents that area residents have, get them digitized and archived so that future generations of Brandon residents will be able to access them. To this end, Kenney has put together a fascinating exhibit currently on display at Center Place of Brandon. The exhibit, Brandon at 100: A Town Timeline, consists of photographs and documents. Some of the photographs date back to the early 1900’s. Brandon’s history is in garages and attics. “We need to find and collect the photographs and documents and digitize them and keep them in one central place where all residents can have access to them,” said Kenney. Lisa Rodriguez has been a resident of Brandon since 1968. She grew up in Brandon and attended the local schools. Rodriguez laments the lack of an archive. Some of the documents in the exhibit deal with the issue of whether Brandon should have been incorporated. This was a pivotal moment in the town’s history; If this issue had been put on a ballot and there had been a vote, and if the town had become incorporated, Brandon would represent one of the largest cities in Florida. But not many residents even know the history of the incorporation issue. Visit Center Place during the month of June and see the documents and photographs on display. 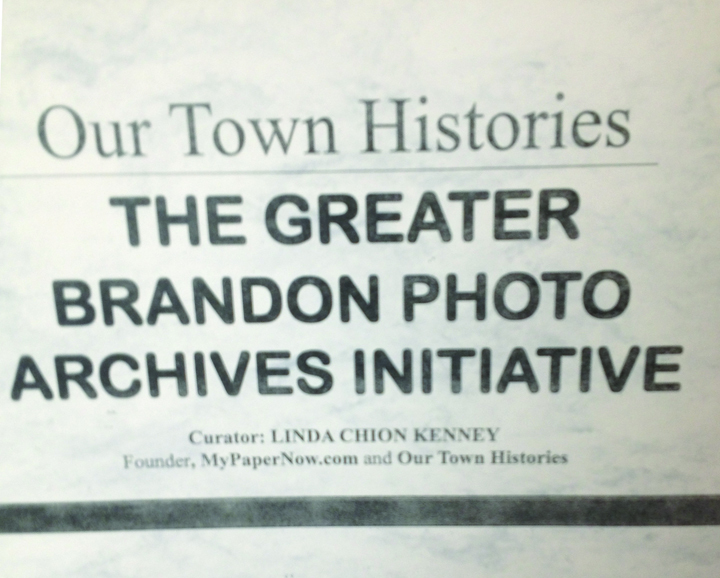 Take a look back at Brandon’s history and contemplate the need for a historical archive in Brandon. For more information on the exhibit, visit www.centerplacebrandon.org.